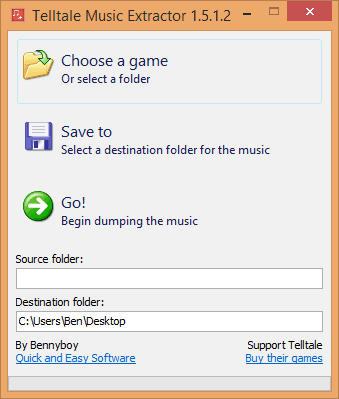 Another update for Telltale Music Extractor. This release adds support for Game of Thrones episode 6 and fixes a bug that prevented dumping music from Minecraft episode 1. Many thanks to David Johnson (again) for his help identifying the issue. Can this be updated to be used for the Minecraft Story Mode Episode 6 DLC?